Bollywood stars tweeted their wishes for southern actor Ram Charan Teja who married childhood sweetheart Upasana Kamineni today morning in a lavish ceremony. Amitabh Bachchan ‏also attended the wedding. 'Hyderabad ! To attend wedding of dear friend Chiranjeevi's son Ram Charan .. back evening ..Ram playing my role in remake of Zanjeer,' he updated. 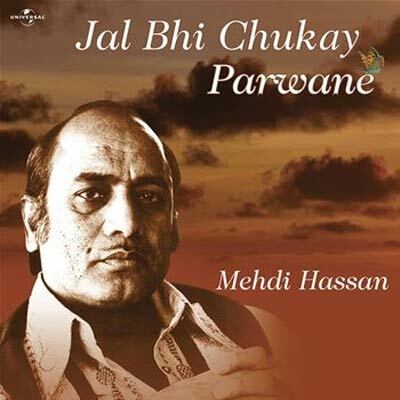 Poignant tributes continued to pour in for legendary singer Mehdi Hassan who passed away yesterday. Ritesh Deshmukh and Tusshar Kapoor are back with the sequel of their hit comedy movie Kya Kool Hain Hum. While its theatrical trailer is already out, filmmaker Karan Johar is in love with the latest song Dil Garden Garden Ho Gaya from the movie. ‏'Crazy...whacky and superkool song from Kya superkool hai hum!!!! KSKHH....watch it!!! Its loads of fun!!!!' Johar tweeted with the video. The film's release date has been changed to July 27. 'KYAA SUPER KOOL HAI HUM now releases (a week earlier) on 27th JULY,' Ritiesh Deshmukh updated. Oscar-nominated actress Isabelle Adjani is in Mumbai to shoot for her first Bollywood film -- Preity Zinta's Ishkq in Paris. Preity, who is busy shooting for the film, said it's an honour to share screen space with Isabella. 'I'm having busy n fun days on the shoot of Ishkq In Paris :-) Its an honour to share screen space with Isabella Adjani,' she tweeted. Meanwhile, Randeep Hooda, who recently finished shooting for Jism 2, has started shooting for Vishram Sawant's Shooter. 'Start shoot for mother of all action films"Shooter"again.It is my third collaboration with Vishram Sawant.The director of 'D' and "Risk",' he updated. Madhuri Dixit, on the other hand, is practicing for her dance sequence on Jhalak Dikhla Ja 5. 'Practicing 4 my dance number 4 u on Jhalak! Hope u like it. Meanwhile shooting for Jhalak episode tomorrow. Looking fwd to it!' she wrote. 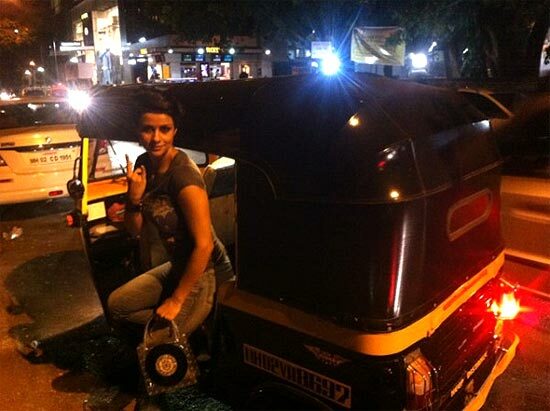 Actress Gul Panag arrived in a rickshaw for the premier of Rock Of Ages. 'On my way to the premiere Rock Of Ages . Running late so resorting to the quickest mode of transportation - 'auto' ,' Panag wrote with the picture. Bipasha Basu shared a picture of her look from the sets of Singularity. 'On set of Singularity!London!' she tweeted with the picture.